Feel free to ask any questions, add comments, feedback or advice that you have about fishing here. If you want to send us a private message on improvements for the website , your specialist tips or anything we have missed then either email or send us a message through the guest book and make it private so that it is only posted to us. With your help we can continuously make this site better and almost an online encyclopedia of sea fishing. Comment: The website is great. It would be even better if you include more details on HOW AND WHEN to fish the Brighton/Hove beaches (Best Spots, Wheather conditions, Tide conditions, how to read the sea for fishing, time of day for fishing, etc). Most websites are centered around Brighton Marina for Brighton; if you include Brighton/Hove beach fishing, you will be the only site. Thanks. Comment: Website is good, i know its not completely finished but it'll be ace when it is! Response: Thanks for the feedback, I update it every day bit by bit and with everyones help it should be like an online encyclopedia of sea fishing (I hope). Comment: Very good and helpfull website!!! Keep up the good work!! Comment: the website is very good craig and crew. i cant wait to get the free stickers and put them on my tackle box. Comment: found website on monday went to tidemills on tuesday, best day for a long time lots of mackerel on spinner + bonus bass approx 2lb. Comment: Ive just got into using night lines to fish for breakfast while i sleep.First one i got 4 large fish ; second night all the bait robbed by crabs(i think).So how do i deal with the crab problem? Use pop up beads which keep the bait off the bottom and away from the crabs, these can be bought from most tackle shops. ask for floating beads (made by gemini). Use Peeler Crab as bait as they tend not to be too cannibalistic. Plus crab is a top bait for better sized fish. Comment: My friend and I usually fly fish for trout, however this weekend we thought we would try something different, bass! Is it too late? We plan on a very early start Saturday morning. West Wittering area, is this any good? We will be taking fly rods, spinning rods and beach casters. Any advice you could give us would be welcomed, times to fish? Baits, lures and flies? And the best places for bass this Saturday.Many thanks and best regards,Andy. Response: Its not too late and there have actually been plenty of good sized Bass caught recently. Pluswith the warmer weather you will probably catch them right up until winter. I have never fished west wittering area but am familiar with the beaches and a word of advice is be aware of the incoming tide as it can cut you off if your not careful. There is good surf there at times so this should be good for Bass. A general rule is to cast into the 3rd breaker. Sometimes they can be seriously close in so dont over cast. You can use fly and spinning rods but the weather recently has been rough so the water will be dirty, as a result i would suggest the beachcaster with a pennel or running ledger rig. Try a range of baits including worms, mackerel or peeler crab (check the fish guide). The best location locally is Brighton Marina or brighton beaches between the Marina and the Palace pier. Comment: Just what I was looking for!. I am a novice to sea fishing. I love the page on how to tye knots, espcially for someone of my level, which is none.I would like to hear from those who caught fish, what size hook, rig, rode, reel, baite, tide and wheather condition they were successful on.The reason for this, as a novice; it would teach me to apply different tactics to catch fish and hopefully be as successfull as my advanced sea anglers.Well done for this web site and forum! Response: Thanks for your message. its good to get any feedback. there are a range of bits on the site that may be of help. For recent catches and how they were caught check the 'Tides and Reports' page. For guides to catching the fish check out the 'fish guide' page and for the Rigs to catch the fish on check out the rigs and hints page. If you have any questions you can also email me. I will be adding a section on knots soon as well but it is taking a bit of time to sort out. We are hosting a meeting if you fancy popping along just let me know although i appreciate you would have to come down from london. Its just that its sometimes easier to show someone in a practical then through text but i will try my best. also i keep a catches dairy on the about us page so that you can see what i caught ion certain conditions using different baits. Comment: HELP!! !I want to change over to braid (for Beachcaster) - Do I need to change my rings over to any special type or get a new rod - I also use a fixed spool reel - are these ok with braid?? Response: You can change over to Braid on your Beachcaster and Fixedspool reel and many top anglers use this combo. As i dont know what rod or type of eyes your rod has I would recommend seeing your local tackle shop as Braid is fine on top quality eyes but cheaper ones will soon develop problems and little grooves. As for your reel it should be fine. The benefit of Braid is better casting distance due to the low diameter and better bite indication which is all importants as it doesnt stretch like mono. Sorry if it seems a bit of a short response but without details like rod and ring type, it is hard for me to say if its ok. A general rule of thumb though, is you pay for what you get in terms of rod and ring quality so if its an expensive rod with top eyes then it should be ok but i would ring a tackle shop like tonys tackle for more advice or reply to me with the details and i will let you know. Hope this helps, thanks. Response: Hi, how long are you looking to keep them? Also what sort of ragworm are you trying to store, king rag, white rag or harbour rag (maddies)? I am going to be updating the site with a section on collecting and keeping bait so keep an eye out on the bait guide section in the next few weeks. If your keeping harbour rag for a long time i would keep them in a clean bucket with fresh sea water about an inch or two deep, changed at least twice a day. king and white rag can be kept the same way, keep them in a cool fridge and constantly change the fresh sea water. Remove any dead or ill worms or any that have splits in as they will kill the others as well. Comment: Hi I,ve bought a used 7ht reel. It has 3 sets of tube weights and 2 copper disces . What do I use for maximum braking when casting.? Comment: I am looking into gaining my dayskipper and do numerous courses so I can run a boat out of Southampton. Where can I do this training? Response: HI ya, for day skipper and various other courses there are a couple of realy good sites that have centres near your area: http://www.hotliquid.co.uk/da/17697 (about halfway down the page) or check out http://www.four-winds.co.uk/courses.php ...Oh and when your a skipper an invite would be good, i will do a review and put it on the site, worth a try lol! Hope this helps and if you have any more questions please ask. Comment: Excellent site and so many new spots to try!What about starting to list the fishing shops and let people rate them. for instance the one at the pier is great compared to the one in peacehaven who is so unfriendly.Also, Saltdean is ok for bass in the summer if you use live prawns on float. the best place is at the end of the rocks in Rottingdean and between Rottingdean and Saltdean, 1.5hr before high tide and 30mns after high, although some bass are caught in rottingdean when the tide is going down. Response: Thanks for the message and glad you like the site, as for the rating of tackle shops, its a good idea but i have to be careful with stuff like that as I dont want to go offending fellow fishermen and their businesses. Feel free however to post your comments on here about service you have recieved. Some shops are friendly and others are less helpful so i would suggest sticking to what works for you, i use different shops for different things, for instance i use Newhaven because they sell the best king rag locally and Glynn is a really helpful and nice guy but i will travel to tonys tackle to get bits for my rigs as they have a great selection and again are really helpful. I will add your comments about Bass fishing to the section on the site about Rottingdean, and credit them to you, so many thanks for that. Response: There are alot of areas and it depends on whereabouts in west midlands you live and how far you want to travel east or west, but the Bristol cannel is a great area to fish and easy to get to from where you are. A spot called Aust near to the old severn bridge is a top mark on the english side of the bristol channel. it is best fished a low tide and you want to fish near to the bridge. you can catch a variety of fish including congers and cod. whole sections of the Southern Welsh coast are also great and within easy reach. You may want to try a few of these marks, The Mumbles, Llanmadoc, Monknash, Rhossili beach, St brides and Monkstone Point, plus many more.If you want any specific details about fishing these marks just let me know. Best of luck and tight lines! Comment: i have just started fishing againand really up for iti took my kids with me and i caught two wrassei have a budget to keep to but every time i go any websites i want to buy everything can you help with advice on makingrigs for beach and rocks. · Main rig body line of approx 60lb (average) but can be stronger or weaker depending on conditions. · Snood line of anything between 10-25lb depending on target species and location i.e. if fishing for mullet you may want 8lb line but if you’re fishing rough snaggy ground for other species you may want 25lb. I would always in general recommend using clear line as the bait appears more natural in the water and is less likely to spook fish. All in all it should cost about £25 to get all the bits and pieces you need to make rigs. Another good idea would be to buy the Sea Anglers guide to rigs book. If you have any more questions please feel fee to ask. Comment: Hi, I am thinking of buying a kayak and use it for fishing around peacehaven and Brighton. The problem is I don't know anything about sea kayaking, is this a feasible idea? Response: Kayak fishing is becoming a very popular and successful way of fishing and is a very feasable method of fishing slightly off shore without needing a boat. I haven't personally done it but a few friends of mine have had some very good catches when kayak fishing near the Brighton piers for Mackerel and Bass etc in the summer months. Personaly i would only ever go in the summer months when it is calm as saftey is key, also remember a life jacket, just incase. Check out December 2006 copy of total sea fishing as there is a brief review of kayak fishing, if you need it then let me know. I expect you will see alot more about kayak fishing this year as it is growing a good reputation. Providing that you have a sea worthy and stable kayak i would suggest giving it a go, check weather reports because as you probably know the wind can get up within minutes. If you have any specific questions about techniques or launching etc. then let me know and i will get in contact with my pal who does it regularily so that he can help answer your questions. Comment: Hi, great web site.Could you explain the different tides for me i.e. Flood, ebb,etc? Response: Thanks for checking out the site, hope this helps. Flood Flow: This is when the tide is coming in towards the point of high tide. Its when you would have to keep moving back up the beach as the tide moves further up. This is generally considered the most productive time to fish many locations as fish come in with the tide to feed asit uncovers plenty of food. Ebb Flow: This is the point when the tide is flowing out to ultimately reach the point of low tide. It means that the tide will recead abd more of he beach will be uncovered. Slack Water: This is the point at which there is minimal tidal flow as the tide is between the flood and ebb or ebb and flood (high and low or low and high). this occurs for only a relatively short period of time. Im sorry if this seems a bit basic but if you have any specific questions about what state of tide is best at a specific mark or in general then feel free to ask. For more detailed information about tidal flows you may want to check out this site: http://www.lobstermanspage.net/tides/currents.html I found it really useful and learnt plenty myself. any other questions feel free to ask. Comment: just found your site from what i have read its very good any chance of a few reports from my area? Response: Hi, thanks for your comments. I currently have contacts across Sussex but unfortunately very few in your area at the mommeny, however, i am working on a few things and should have some details for your area very soon. Also the site runs through emails by people, like yourself, that have been fishing and emailed me details of their catches or any news from their area, plus any news i get from my contacts so some weeks i get loads of info on an area and others there is nothing. Thanks again and check back soon as i will try and add some bits very soon. UPDATE: There is a new section about Littlehampton on the site on the other top marks page. Thanks to Marc Arnell-Smith for the valuable info. Comment: hi i would just like to say the same as many others,great site.but could you tell me can you use braid when fishing from the beach with a multiplyer? Response: HI, thanks for your comments. Yes you can use braid from the beach using a multiplier, however, there are some important things to take into account. Braid can dig into the line on your spool when reeling in. when you cast back out you can sometimes crack off due to this and its an expensive loss. If your after quality low diameter lines that will cast further, show bites and still be strong then give Berkley Fireline or Grauvell Teklon Gold a go as these are two top low diameter lines that will add distance to your cast. Another factor to consider with braid is, image trying to untangle a birds nest of Braid, not fun! I would stick to mono for more pleasureable fishing plus the stretch gives you a bit of leeway with casting and retrieving fish as your less likely to bump them off. Braid can be worth a go and is highly rated but i would really only use it on a fixed spool, which is popular amongst some top fisherman. Hope this helps. Comment: has anybody got an idea if there are any people or persons who dig bait and then deliver it to your door as my local shop only has frozen at moment. Response: I have not heard of anyone that does this as yet but if you call a local tackle shop and put in an order and ask them to ring you when its in or ring and ask when they are expecting a delivery and call that day and place an order (thats what i do and i have had fresh most weekends) then i reckon thats the way to go. However if anyone does know of any such delivery service then contact me and ib will post it on the site. Update (Big thanks to Marc for the info): He says that 'being from here know from tackle shops and other fisherman here that west beach on through to elmer beach towards bognor (bout 1mile along sea front maybe more) at low tide has a few spots were lug worm are prominant, but you do have to have patience as finding them is a pain. crabs are everywhere in the river (including peeler) as for mackerel, squid etc you have to go to tackle shops unless you fish off shore'. Thanks again as this is what the site is about, fishermen helping fellow fishermen. Response: You could catch Bass on a mackerel fillet this month as the waters in our area are still warmer than usual and the bass tend to stay around most of the year, however, It really picks up in spring and summer when the waters are warming and the Mackerel and white bait are around. Its not the best time of year to catch the big ones but its not to say that there are non around. I heard reports of a few bass being caught at hove recently with the biggest being near double figures so they are still here. Its a case of matching your baits to what they are currently eating. I would try plenty of fresh jucy lugworm if the water is dirty or ragworm if its clearer on a pennel rig as this may be slightly more productive at this time of year, plus you then have the chance of a codling, good whiting or a decent flatfish. the key is not to cast too far as bass stay in close to the shore. Tide mills can be a very good bass spot and i would fish it when there is a bit of surf on the water as this is what the bass like, you could also try fishing near newhaven pier. Comment: Being relatively new to sea fishing can someone advise me whether it is worth spinning or lure fishing from the beach for bass in the winter months - I am fully aware that it can be very rewarding during late spring to summer periods - but have never tried during the winter - any advice greater appreciated. Response: To be honest its not commonly done in the winter, mainly becaues the water is cooler so there are less bass about and also the water is rougher and dirtier which makes it hard to cast a lure and also difficult for the fish to see the lure due to the murkiness of the water. Plus in such conditions fish tend to feed on scent, which means real baits are better. We are lucky here on the south coast as the bass tend to stay here pretty much all year round. If you want to try in the winter you are best off going during a calmer period when the water is a bit clearer as the fish will be able to see your lure but to be honest you can probably spin for bass between April-Late October, outside of this period you are probably better off using real baits. When spinning for bass fishing near structures will increase your chances of catching as they often patrol them looking for an easy prey. You can catch them on open stretches of beaches but this is best on a summers eve or morning, look out for shoals of mackere or whitebait and the bass wont be far off. Spinning is one of my passions so if you have anymore questions or want to hook up for a summer session either post a message on here or email me. Comment: Thanks for a great local site.I find the 'Rigs and Tips' page most helpful and so is the 'Fish Guide'.On browsing around I saw the link 'Galley' and clicked on it thinking it lead to favourite seafish recipes, Galley being the nautical name for a boats kitchen.The pictures are great but how about a true Galley section where we can post our favourite seafood recipes? Response: Thanks for the feedback and your ideas about a recipes page. As you can see you comments have been noted and i have added a Galley/recipes page and also learnt how to spell Gallery lol. Check out the recipe page if your looking for tips on how to cook your catch. You can also add your recipes here to share with others. Thanks again for the great feedback pj. Response: As you are probably aware, there are lots of different reels depending on the type of fishing being done. On the assumption that it will be used for beachfishing and beachcasting here are some good fixed spool reels within that price range. Firstly there is the Peen Surfmaster, which is currently reduced from RRp £100.00 to £50.00ish at most tackle dealers; then there is the Shimano Ultegra 12000XTS which is on the £100.00 mark, this is a good quality reel; there is also the Shimano Biomaster XSA 8000. Both the Shimano reels are very good and have a good reputation amongst fixed spool users. Alternatively the Grauvell Zeus Z5000 which is another very good reel at £89.99 from Veals mail order. Hope this helps, if you need any more help or if your after a different type of reel like a spinning reel then please feel free to ask. Happy shopping. Response: May-Oct are the best times to fly fish for bass from the shore or in rivers. Bass feed close to the shore at dusk and dawn on high tides so these are the times to gve it a go. Most open stretches of beach will produce Bass. Look for mackerel or whitbait on the surface and the Bass will not be too far behind. You can also try fishing close to structures like piers, groins or breakwaters as bass use these areas to wait and surprose their prey. Comment: As the lure / fly fishing season approaches I am looking to getting the rods out - can anyone give me advice on good locations for lure and fly fishing for bass - I have read about Shoreham and in particular the (Hot Pipe) has anyone fished this area and if so any advice tips and the exact location of the pipe. Thanks in advance. Response: The shoreham hot pipe is best fished at low tide and is at behind shoreham harbour. it easily visable at low tide as it comes out of the water. I have seen people fish from the structure and from wading in the water. you can catch some good bass here. Click here to visit the new lure and spinning page for some other top lure marks. Response: As far as im aware you can still dig certain areas of the Adur but im not sure on the exact marks. I will contact one of my of my fishing pals who digs there and i will let you know asap. Comment: Congratulations on an excellent site. the best i've found.I've recently moved down to just outside Pevensey and having been coarse fishing for years thought it might be a good idea to give sea fishing another go. I have done a little bit a few years ago but didn't catch very much so drifted back to coarse fishing. My inlaws have a holiday home down at Normans Bay and pevensey bay is also very close so any info on good fishing marks or types of fish to target and rigs e.t.c for these areas would be greatly appreciated...Cheers. Response: Hi wayne, Thanks for visiting the site and glad you like it. Pevensy and Normans bay are cracking spots and really do fish well all year round. so your very lucky. Winter anglers flock there as it is a great ares for all winter species and often stays slightly calmer then other areas and also dirtier for longer. Summer fishing is also very good here and there have been some cracking Bass and sole caught in the latter summer months. In summer though the only problem is that they are popular for bathers so fishing is best kept to morning or evening sessions but these are the best times to fish anyway. If you are pleasure fishing then a standard 2 or 3 hook flapper with size 4 or 2 hooks will work well all year round for pretty much most species. You may wish to use clipped down rigs if you want to add distance to your cast. If using the flapper rigs you may wish to try a 1 up 1 down or 2 up 1 down as this keeps your baits close to the sea bed where the fish feed. At this time of year you are likely to catch Flounders, Plaice and the odd Bass and Dab. Use ragworm, white rag or maddies (harbour/red rag) baits or peeler crab if you can get it. Peachaven angler or tonys tackle are local to you and ask them questions as their local info can also help put you on the fish. Evening tides will produce slightly better and if you fish into the dark you can catch pout as well along with a few other species. Give it a month and there will be a few more bass showing up. Pevensey normally fishes well 2 hours up 2 hours down like most places best place for diggin bait is out from the car park on the one way system the deeper parts are towards eastbourne harbour where as its more shallow towards normans bay end. The deeper parts are known to produce smooth hounds during the summer months to fresh peeler where as most the other areas produce bass small rays (good for sole) pouting eels during summer. One thing about Pevensy that i have heard from matches is that a longer cast often produces better catches so clipped down 1 and 2 hook rigs will probably get better results when pleasure fishing (mainly applies to winter) because Bass and Flounders are known for feeding in close and you can catch smoothounds at medium distance. Also check out Glenns Guide for April on the site at http://www.sussexseafishing.co.uk/22.html its number 4 for april and if you scroll down its also detailed in March. The thing with the reports is that i rely on what you, the viewers of the site, email me. Some weeks there is loads about seaford and other weeks its quiet it just depends who has fished it or if any one has emailed me their catch reports good or bad. If i go or i know someone that is going to a spot i always get them to let me know their catches. I will try and add more about seaford and any other spots people want detailed. If you ever have any questions about whats being caught but there isnt a report then email me and i will let you know what is being caught as sometimes i get emails midweek but cant add them to the site or if i have no report I will at least let you know what you can expect to catch and what tactics & baits to use. Response: Hi Alan, Thanks for checking out the site and for your kind words. As for fishing this Monday, it depends on the weather as i think the wind is supposed to get stronger and turn southwesterly which will make the water dirty and choppy. If this is the case then i would fish brighton or hove beaches (providing no bathers about) as you may catch Bass in the surf. You can use a variety of baits to catch them, alternatively f the wind is not too strong you could fish the marina east arm (you get a little more space and comfort on there). If you fish around peg 15 you would have a chance of a variety of fish including Bass, Eels and Pout. Use a 2 or 3 hook flapper and any baits such as ragworm, lugworm, peeler crab or mackerel. If the water stays calm and relatively clear then i would recommend the marina east arm again as locally you wont get a much better spot then this unless you can fish newhaven east arm or seaford beaches. If it is clear water then float fish using small thin strips of mackerel as the shiny skin will catch Garfish and Mackerel on size 4 hooks, fish either peg 15ish or the pegs between 40-55, check out the rigs page for advice on making the float rigs. You can also try fishing close to the wall using a 2 hook flapper rig on the bottom for wrasse using ragworm on size 4 hooks which can be fun. Comment: Hello.Thanks very much for your web-site, was found by accident. I use a lot of your tips and tackle info down here in the south west of devon. thanks a lot my fish count as gone up a lot on some of the info you have supplied. I now visit this site from time to time and will continue to do so in the future, so if you had anymore info that will be great.Dont know if you've fished down this way, if not give it a go, there are some fantatic marks down this way from the shore. Yours Mike. Response: Cheers for the message and glad you like the site. May have to drop you an email if im fishing down that way sometime. Response: Hi Barry, Glad you like the website and please tell your friends. Crabs are a common problem when fishing at this time of year and will decimate your baits quickly. There are two main ways to combat them. Firstly use peeler crab as bait, the tend not to eat their own as readily as they take other baits. Secondly you can use floating beads (available in most tackle shops and in a variety of colours, gemini do some good ones) which will float your baits just off the bottom and away from the crabs, the only down point about this method is that it may reduce your catches of fish that feed hard on the bottom but you will still catch plenty of other species. Another way is to keep the bait on the move by moving it a couple of yards every minute, this can be very effective for flounders as they are attracted to the bait movement, however, i would only do this over sandy/shingle bottoms because if you do it over rough ground you may end up finding a snag. Comment: Is there going to be a top 5 to fish for July because there hasn't been one for june.Great site by the way I use it regularly. Response: Hi Sam, thanks for checking out the site, there was going to be a 5 to fish in June but glenns missus has just gave birth to their baby boy so he has been a bit busy changing nappies and getting no sleep. he told me that he is doing a summer special which is nearly done so i will be adding it very shortly, in the meantime if there is any places or advice you want about fishing locally then feel free to email me and i will be happy to help. Comment: My ambition this summer was to catch a bass. So far i have not done so and as the summer draws to an end i will have to go back to school. Plus the sea bass season will end. My favorite and closest area to go fishing is seaford and i now this place quite so it is where i would try to catch them. I am asking for any info you could give me on fishing there for bass, what time, what to use, what part of the beach and so on i would be so pleased if i could catch one so thanks. Great site. Comment: craig i caught 3 mullet on the newhaven eeat arm up to 2 pound. there was also lots of gars and mackeral. we were fishing the last double that sticks out. dad couldn,t get a mullet and lost 2. one was 5lb+ and the other one we didn,t see and snaped the line on the barnicles. I totally wopped him. also there were goons at the end of the arm and the twats caught nothing ha ha ha!!!!! see you soon. Comment: Hi, Having moved from East Kent down to Brighton i would like to find out where i can dig my own lug in this area. Please could you give me any suggestions. Also, any advice on what tackle shops are best in the Brighton area would be appreciated. Many thanks, Russ. Also you can dig along shoreham and southwick beaches for lug and you also get some white rag at these marks. You can dig maddies at shoreham river as well. As for tackle shops i would say the tackle box in brighton marina is one of the better shops for allround bait selection and quality but if your after really good ragworm (small and wriggly) then visit newhaven angler as these are the best local ragworm for matches in my opinion. he usually takes fresh delivery on fri or sat morning and is worth the drive. Anglers Den in pevensey also does good lugworm. The tackle box in the marina also has a good selection of stock and you will usually find what you need for bits and pieces and if you cant, then dave (the owner) will just order it in. If your after quality rods and reels then visit brighton angler on madera drive as he has some good stuff at reasonable prices. Lagoon bait and tackle in hove is also worth a mention as they carry a large selection of stock at reasonable prices for both fresh and saltwater fishing. I would use 2 rods, 1 down the side with a 2 or 3 hook flapper and size 2 or 4 hooks. use king rag and black on these and you should get pout, wrasse, pollack, schooly bass and maybe a few other species. only problem is that it can be snaggy. your best bet is to fish right round near peg 55. With the other rod i would floatfish with size 4 hooks about 10ft deep (but vary depth) for gars, pollack and mackerel using mackerel strip. The key thing in daylight is that the fish are never very far from the wall unless its rough in which case if it is rough and dirty water, i would say use the lug and tip it wih mackerel strip and cast out far for whiting and pout. If your after a bigger fish then i would suibstitute one of the rods for a big bait up or live bait of your choice and fish it 15 yards from the wall. Not sure how long your there for and whether your staying after dark but if it was me in daytime i would get some king rag, black lug and mackerel. Hope this helps, let me know how you get on and if you need any more info. Comment: Where can i pump black lug in the Eastbourne/Pevensey area?,great site! Comment: Hi, great website. My broth and I will be fishing the Goring area late May. 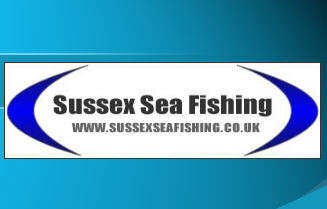 On your site you keep listing prawn as a good bait is that live or dead and if live where and how would we catch them. Also peeler crab are they available to catch in late may from the beach and again if so where and how. Thanks for your help. Comment: Hi - great site. I'm new to sea fishing (used to do a bit of course fishing in my youth), and I was thinking of starting off with a bit of spinning off Hove beach. My only experience of spinning is for pike, is it a similar technique for sea fishing (i.e. casting quite far in and gradually reeling in a jerky movement)? Is this method going to work off the beach? I've got myself a little telescopic rod and some feathery lures, would you recommend any other kit? I'm only after a few mackerel and perhaps the odd bass at this stage. Comment: this is not a question but some advice. as you say that the sewage pipe in shorehasm is very good for live prawns then you can get youre live prawn bait from behind the power station in the harbour where someone has put in a tyre where all the prawns hide but this is tied to some rope which makes it easy to take out the water. i think there are 2 of these. Comment: Hello my name is Paul Sloon from California United States Of America, I never believe in love spells until I experience Dr. Lucky Odumodu temple, and after he cast a love spell for me, my Ex called me to apologize for the pain that she has caused me and till today we are living a happy family, if you need a right place to solve your problems contact DR LUCKY ODUMODU is the right choice. He is a great man that have been casting spells with years of experience, and his spell is absolutely harm free. He cast spells for different purposes like: (1)If you want your ex back. (2) if you always have bad dreams. (3)You want to be promoted in your office. (4)You want women/ men to run after you. (5)If you want a child. (6)[You want to be rich. (7)You want to tie your husband/wife to be yours forever. (8)If you need financial assistance. (9)Herbal care Contact him today on: dr.luckyodumodutemple@gmail.com Yours Sincerely, Paul Sloon. Comment: Many thanks for this! One of the most useful sites I have come across!! I am very much looking forward to the Kayak sections that are under construction -- curious to read about Kayak setups, rigs, etc. Good luck! Comment: Hi does anyone know What beaches are good for pumping lug (around the Brighton-Eastbourne area and at what time of year/tides are the most productive as have had a few go's at tidemills but know luck there atm. Thanks.